The Obama Administration Needs To QUIT PLAYING GAMES! There Was NO PROTEST In Benghazi - It Was a Terror Attack! The Obama Administration Needs To QUIT PLAYING GAMES! There Was NO PROTEST In Benghazi – It Was a Terror Attack! The Obama Administration needs to quit playing games with the American public. After the murder of Ambassador Chris Stevens on Tuesday, UN Ambassador Susan Rice told ABC today that the terrorist attack in Benghazi was actually a protest. The siege of the US consulate was a terrorist attack and four Americans were murdered in cold blood. There is absolutely no evidence that there was any protest outside the consulate the night of the attack. The Obama Administration needs to quit playing games and get honest with the American people. 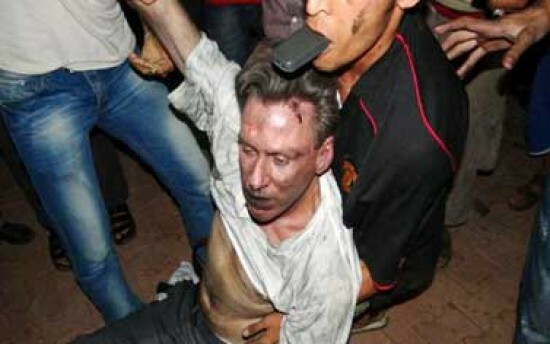 Islamists dragged the dead body of US Ambassador Christopher Stevens from the consulate after his murder. There was no protest over a movie!